Were you looking for GSK Sales Rep, CA lawsuits? 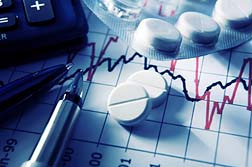 Although pharmaceutical sales representative jobs are usually considered exempt from overtime pay, recent lawsuits involving pharmaceutical sales reps challenge that exemption. In some cases, where the pharmaceutical sales rep does not have authority or discretion in her job and where she is not directly involved in selling the product, the pharmaceutical representative may be eligible for pharmaceutical sales overtime pay. Send your Pharmaceutical Sales Rep Overtime claim to a lawyer who will review your claim at NO COST or obligation. Under the Fair Labor Standards Act (FLSA), people who are involved in outside sales are typically considered exempt from overtime pay. That is because people involved in outside sales have unlimited earning potential due to their commissions—the more they sell, the more they can make. Furthermore, they often work independently from a main office and have discretion in what hours they work. 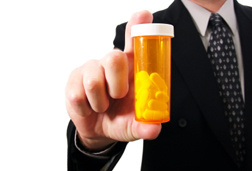 For a long time, pharmaceutical sales representatives were considered exempt from overtime pay. Some recent lawsuits, however, have resulted in the courts determining that some pharmaceutical sales reps are not exempt from overtime pay—that is, they should be paid overtime for their hours worked. In a ruling in a lawsuit against Novartis, the Second Circuit Court of Appeals found that pharmaceutical sales reps working for Novartis should be paid overtime. The Department of Labor also agrees that pharmaceutical sales representatives should be paid overtime. This is because the sales reps from Novartis do not directly sell the pharmaceutical products they promote. The Second Circuit Court of Appeals found, in the Novartis case, that pharmaceutical sales reps promote pharmaceuticals, but do not sell them. All the sales reps do is present information to physicians. But, the reps do not actually sell the drugs to the physicians; the most they can do is obtain a commitment from the physician that the physician will prescribe the product. That is, the drugs are not technically "sold" until the patient who has been prescribed a particular medicine has gone to have his prescription filled at a pharmacy or drug store. Similar lawsuits are also underway against SmithKline Beecham (also known as GlaxoSmithKline) and Merck. To be exempt from overtime pay, an outside sales person must directly affect the sales transaction. 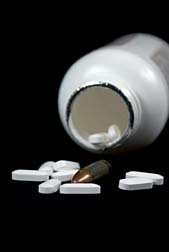 In the case of pharmaceuticals, the physician does not buy the drug from the sales rep. He simply prescribes the drug to a patient, who then goes out and purchases the drug. Therefore, the pharmaceutical sales rep has not had a direct effect on the sale of the pharmaceutical. Even though the pharmaceutical rep gives the doctor information about the medication, it is ultimately up to the doctor to determine which medication to prescribe. Furthermore, it is up to the patient to determine whether or not to fill the prescription. The Second Circuit Court of Appeals also found that Novartis' sales representatives do not meet the administrative exemption because they are tightly controlled and cannot exercise discretion or independent judgment in the course of their work. Based on this, some pharmaceutical sales reps might not be exempt from overtime pay. Sales representatives who do not exercise discretion or independent judgment over their work and/or who do not directly affect sales could still be eligible for overtime pay. According to Jim Edwards at BNET (bnet.com; 11/19/10), Novartis, Abbott Laboratories, Merck and Boehringer Ingelheim have all lost court rulings in which the courts found their sales reps should be paid overtime. Meanwhile, Pfizer (Alpharma), Johnson & Johnson (Ortho McNeil) and AstraZeneca have won lawsuits in which the courts determined their sales reps were exempt from overtime pay. Takeda, Amgen, Serono and Bristol-Myers Squibb reportedly have lawsuits pending. Reps for Pharmaceutical Sales Can Claim Overt..